Indian women are known for their thick, dark and glossy locks. And a whole community insists they do it through this three-oil blend, which is easily made at home anywhere in the world. Why does it work? 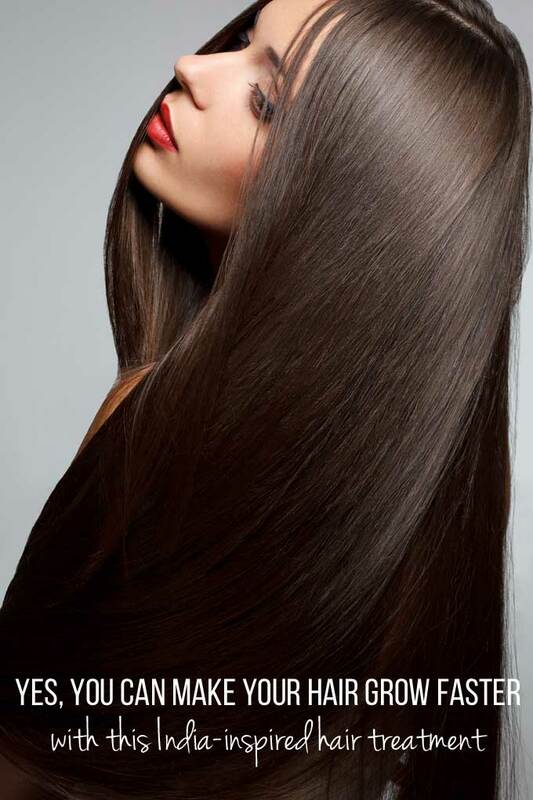 The eucalyptus and clove oils boost blood circulation to nourish hair right at its root and prevent hair loss. Coconut oil, in the meantime, actually penetrates the hair shaft because it’s so similar to our tresses’ natural lipids. Once inside the hair, it serves as a “re-fatting agent”, replacing the natural oils that have been lost due to washing, heat damage and environmental toxicities. This strengthens the hair, adds volume and prevents breakage. It’s also loaded with lauric acid and capric acid, which have a microbial action, thereby guarding against hair loss. PLUS, it contains Vitamin E, which keeps the scalp healthy; fatty acids that keep dandruff at bay; and a high moisture retaining capacity, which keep strands soft and hydrated. 1. Mix together all the oils and store in a glass bottle. 2. Gently massage into the scalp at night; repeat 2-3 times a week for best results.